Last year witnessed a reduction in mother mortality rate to 129 from 151 recorded in 2017, according to a report of the Ministry of Health. The Lao and Vietnamese governments will try to bolster two-way trade by at least 15 per cent this year as part of efforts to expand cooperation between the two countries. The China-Laos railway is gradually revealing its first signs of true glory, as the bridge and roadbed are taking shape and vehicles loaded with equipment are continuously entering and exiting the tunnel. Waste management in hospitals remains a challenge because most health facilities in Laos do not have waste disposal systems that are comply with international hygiene standards. Oudomxay provincial authorities are accelerating infrastructure developments to make the province a more viable tourism destination through improved access. Even though organic farming is on the rise, growers are still struggling to meet demand due to problems in customers accessing local markets. Lao business operators have been learning the latest technology to upgrade their ‘business 4.0’ skills at a recent seminar in Vientiane to ensure they can reach customers effectively. The visits to Laos and Cambodia by Party General Secretary and President Nguyen Phu Trong are important external activities which have profound meaning in the relationship between Vietnam and the neighbouring countries, said head of the Communist Party of Vietnam Central Committee’s Commission for External Relations Hoang Binh Quan. Ministry of Health officials from around the country met for their annual meeting in Vientiane yesterday to review progress in the sector and discuss plans for 2019. Lao news outlets have devoted their front pages to articles praising the success and outcomes of the official friendship visit to Laos by Party General Secretary and President of Vietnam Nguyen Phu Trong from February 24-25. MG authorized dealer Vientiane Motor Marketing has unveiled at the Vientiane International Motor Expo 2019 four new MG models in Vientiane Capital. 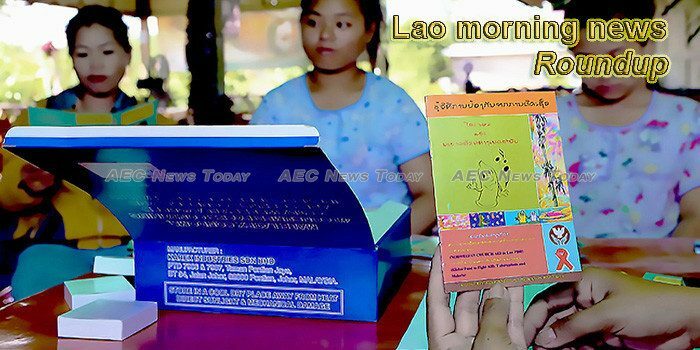 A UN official in charge of helping landlocked nations around the world to fulfil their development potential has asked Thailand to play a greater role in assisting Laos to become a regional land link. The Ministry of Public Works and Transport is continuing to work with its partner, the US Embassy to Laos, to discuss best practices for strengthening the business environment in relation to aircraft ownership and financing under the Cape Town Convention. The Visit Laos-China Year 2019 was launched on Jan 25, 2019 in Vientiane, the capital. Total Proposed Spending of $23.5 Billion. The Governor’s budget provides a total of $23.5 billion from all fund sources for the state’s transportation departments and programs in 2019‑20. Champasak is focusing on distinctive festivities and various in a bid to lure more tourists to the southern province during Laos vacation 2019. A leading construction corporate Khamphay Sana Group on Feb 22 celebrated its 20th anniversary at its new 11-floor headquarters in Thongsangnang, Chanthaboury district, Vientiane Capital.